Keolis Commuter Services has reached agreement with all 14 of the labor unions representing 1,800 employees for the Massachusetts Bay Transportation Authority (MBTA) Commuter Rail service, which Keolis begins operating on July 1st. 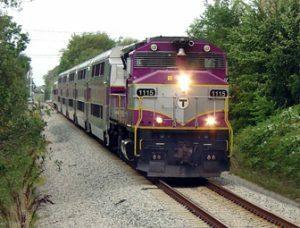 MBCR (Massachusetts Bay Commuter Railroad), contract operator of Boston’s commuter rail system since July 2003, has gone to court in an attempt to block the MBTA (Massachusetts Bay Transportation Authority) from awarding a new contract to a competitor. Massachusetts Bay Transportation Authority has awarded Keolis Commuter Services an eight-year, $2.68 billion contract to operate MBTA regional rail passenger service for the Bay State. Two extension options of two years each could ratchet the total value to $4.3 billion. Massachusetts Bay Transportation Authority (MBTA) reportedly is considering replacing Massachusetts Bay Commuter Railroad Co. (MBCR), its current contract operator of MBTA regional rail service. Among priorities of the House Transportation & Infrastructure Committee is reauthorization of the Passenger Rail Investment and Improvement Act of 2008 (PRIIA), portions of which are a growth hormone for state-subsidized intercity passenger rail corridors that are separate from Amtrak’s long-distance network, Amtrak’s Northeast Corridor, and commuter rail operations.